Discussion in 'Designers and Collections' started by wheneveriwakeup, Sep 23, 2009. 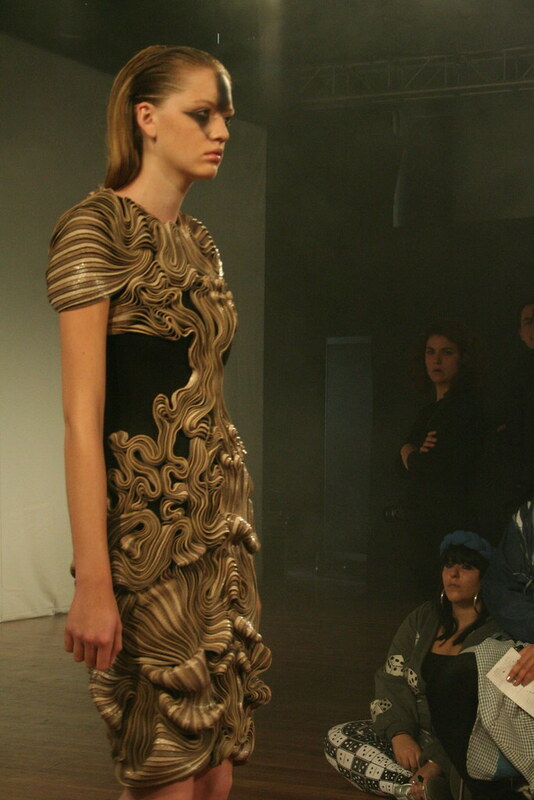 * It's Iris VAN Herpen, btw... sorry mods. does anyone know what it is? some kind of pleating? This is extraordinary. I love the symmetry, the outfits look like frozen water waves. It reminds me a lot of old Alexander McQueen. I've just found these on mademoisellerobot.com. The detail is amazing. The collection isn't something I'd wear, but wow anyway. 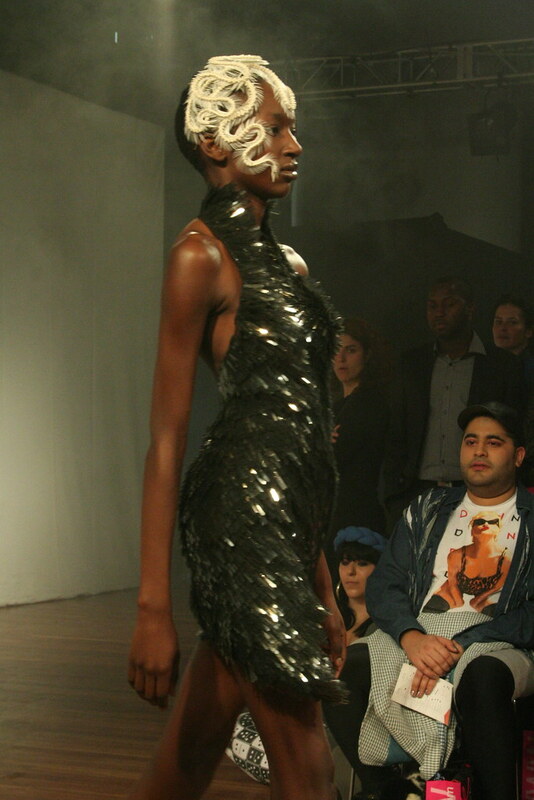 The Iris Van Herpen show was actually really scary, the polar opposite of Charlie Le Mindu. Models wore clothes inspired by radiation waves and were walking on their tippy toes. They would stop here and there and the lights started flashing, which made me want to hide under my seat. Thanks for those pictures, Womanolo! Her work is amazing. And yes, she works primarily with leather straps. If you've worked with leather, you will know that that is a feat in itself, esp. doing the type of molding van Herpen is. please post more pictures ,guys ..she is very talented !